Timophey (Tim) Avetisov, changing a tire at Twin Rivers Unified School District near Sacramento, California. Tires are the third highest school bus maintenance expense category. Regardless of your fleet size, it is one of today’s challenging operational budget issues. Tire purchases are a significant financial investment, and there is no doubt that tire prices will continue to rise, so good routine maintenance is essential for maximizing the life of your fleet’s tires. When it comes to a vehicle’s tires, proactive tire maintenance is important for avoiding unplanned downtime and the effect of premature wear. It is imperative that trained school bus drivers perform visual tire inspections prior to each trip and after, and that maintenance has a system in place for maintaining proper tire pressure, monitoring tread depths, and regular preventive maintenance (PM) inspection processes that are spelled out to identify irregular wear patterns will help ensure that your fleet will maximize its tire investment. Tire manufacturers, distributor and dealers provide support and guidance and are willing to help you create custom-fit tire management and maintenance solutions, which help to reduce equipment downtime and lower overall cost per mile. One such beneficial solution is the mounted tire/rim program. A program of working with your dealer to provide spare tire rims to your tire dealer who in turn, deliver new tires mounted on the clean rim which includes a new valve stem and new valve cap. All tire manufacturers will tell you that maintaining proper inflation pressure in tires is the single most important factor in extending tire life. Proper air pressure helps to distribute the weight of a school bus evenly across the tire’s tread pattern foot print, so the tire (and the bus) is at its most stable. When a tire is under-inflated or over-inflated, it loses stability, negatively affecting handling, cornering and stopping. Eventually the tire will also start to wear unevenly. Under-inflated tires tend to show wear on the outside edges of the tread, while over-inflated tires show wear down the middle of the tread. Maintain all tires at a fleet’s target inflation pressure, which should be based on the manufacturer’s application data book for the school bus axle load. An inflation pressure mismatch of greater than 5 psi, can result in the two tires of a dual assembly being significantly different in circumference, which will cause irregular wear and eventual tire loss. A difference of 5 psi between steer tires can cause the vehicle to pull to the side with the lower pressure. When specifying your new buses research, the benefit of the tire pressure monitoring system (TPMS). Many of the school bus manufacturers offer cost benefits analysis on specific option content, a TPMS system it will provide a valuable tool to help prevent tire inflation issues and save labor expense relative to tire PM as well. School bus operations should have a well-defined written policy and procedure for tire inspections and replacement. Tire work left in the hands of the in-experienced is dangerous. Seek the help of your tire dealer to support you in training your staff, or utilize the dealer to remove and install tires from the rim, leaving the tire mounting to your own staff. Drivers should also receive training in the process of reviewing tire condition at pre- and post-trip vehicle inspections. Involve maintenance staff in the training so that they may communicate with drivers relative to tire condition when driver concerns develop. Implementing a quality rear-wheel retread program with your tire dealer/distributor is a safe, responsible and smart choice for fleets. Retreads typically cost a fraction of what a new tire costs, and because of the quality of today’s retreads they have become a standard practice in most of the today’s largest fleets. 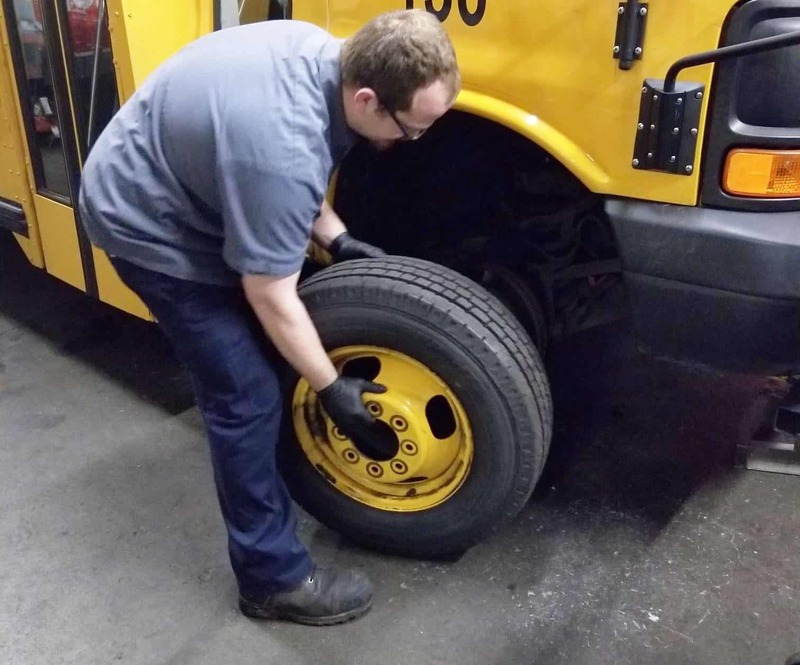 A suggested, cost-effective practice followed by many fleets is to install new retreads on the rear of a newly delivered bus, therefore creating up to four brand new tires that can be used for front tire replacements. Department of Transportation regulations say the tread depth for any tire on the front wheels of a bus, truck or truck tractor must be at least 4/32nds when measured at any point on a major tread groove. All other tires on the vehicle must have a tread depth of at least 2/32nds. If any measurements are below these requirements, the tire should be removed and replaced. Adhering to DOT minimums is a good rule, but most fleets replace tires prior to those minimums to ensure tire casing integrity for suitable retreading. Another good practice is to replace tires that are 10 years from their date of original manufacture with brand new tires, even if the older tires appear undamaged and have not reached their tread wear limits. If a vehicle manufacturer recommends tire replacement after a shorter interval, you should follow those specific recommendations. The replacement policy should also cover the casings, number of times the casing will be retreaded based on vehicle usage, the casing age and condition, tire position, and the type and quality of the new retreads. You can estimate when tires will need to be replaced monthly or annually by using a simple formula based on miles per 32nd. This ultimately helps to project tire life in any application and to determine inventory requirements. When selecting tires for your fleet, work with your commercial tire dealer/distributor to be sure both of you consider the service applications the tires will be used for: Urban, suburban, athletic charter applications, etc. Also consider specific operating conditions such as, weather conditions or environmental issues. Then, work with the tire expert to select the best fit for your application. Tire manufacturers offer a variety of products, nationwide networks and fleet management tools to help fleets lower their total cost of ownership. In the school bus transportation industry, it is vital for a fleet’s tire supplier to not only serve the tire needs of school bus operators, but to also be able to provide strategies and solutions that positively impact their overall transportation program. This works best when the product vendor’s relationship is driven by reliability and teamwork. Establishing a culture of trust and transparency is paramount to every school bus fleet customer/tire supplier relationship. The degree of trust, as in any relationship, establishes effective communications and ongoing knowledge sharing. Bob Pudlewski has over four decades of experience in school bus maintenance. He retired as the VP of fleet operations, procurement and maintenance for Laidlaw Educational Services and is a member of the National School Transportation Association Hall of Fame. 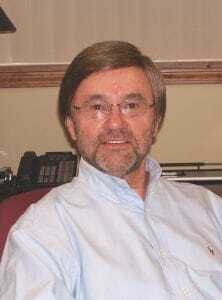 He is currently an industry consultant and technical editor for School Transportation News.